In the heart of Old South London - 173 Wharncliffe Rd South. Click HERE for Map. We are London Ontario's premiere destination for fine cigars, pipe and specialty tobacco, pipes, humidors and related accessories along with men's shaving products. We are also pleased to offer premium vaping hardware and e-juice at the Vaper's Vault inside Baracoa. Since 2011, we are an Ontario Certified Tobacconist allowing our products to be on full display so that you can enjoy purchasing fine tobacco in our welcoming environment. Cigars should be observed, inspected and admired. Our name is Cuban inspired but our inventory encompasses a great selection from other countries as well. Despite heavy government taxation on tobacco products our pricing is about as competitive there is in all of Canada. The Baracoa web store offers online purchases of any non tobacco products. You'll be confident in purchasing from an established brick and mortar operation and member of the Better Business Bureau. 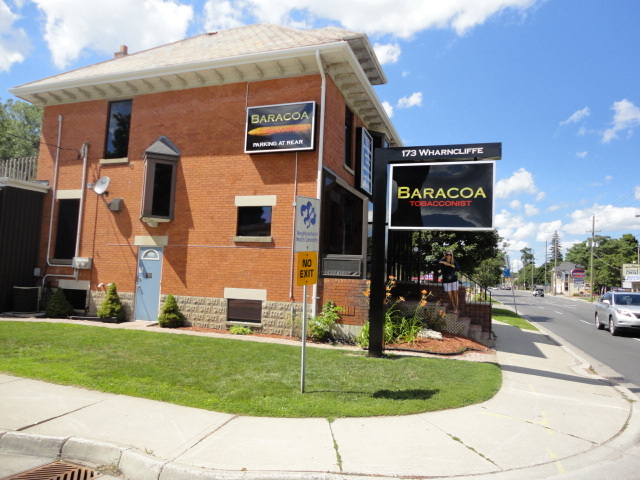 At Baracoa we take pride in providing professional service and advice. You will always be met with a friendly face and interested ear when you visit. We are here for one reason, to make your buying experience whether in person or online the best it can be.